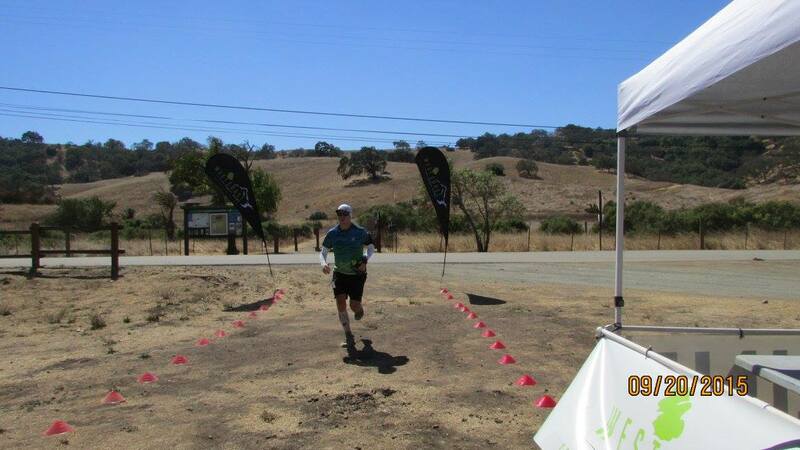 On September 20th, I ran my tenth marathon and second trail marathon: West Coast Trail Runs‘ Fall Out of Summer out at Calero County Park. It was my slowest marathon (so far); but, in some ways, as I finished, I felt the most accomplished. Between the high heat and challenging climbs (six in total with two CAT 2s), I WAS NOT about to let this course beat me. And so I didn’t…I sucked it up and gritted it out. Yeah, I was the dead-last finisher (4 out of 4), but still got ‘er done. Many, many thanks to Guy, Maria, and great volunteers for their support all day and for sticking around for me to finish – there was 1h:15m between me and the finisher before me (gulp). It says a lot about an event and the RD to keep the whole crew, all finish line equipment set-up, and a full assortment of finish line food and drink for one, lone runner. This was my first West Coast event…it definitely won’t be my last. …plus a 10K and a 13.1 thrown in for good measure.